Jays Airports Ltd offering airport transfers, executive cars and eight seater minibus travel to airports (Gatwick, Heathrow, Stansted), seaports (Dover, Southampton). Based in Sussex, local pickups include Brighton, Hove, Eastbourne, Uckfield, Lewes, Seaford, Newhaven, Burgess Hill, Shoreham, Portslade, Bexhill, Hastings, Horsham, Crawley, Tunbridge Wells and other towns/cities in the South East of England. 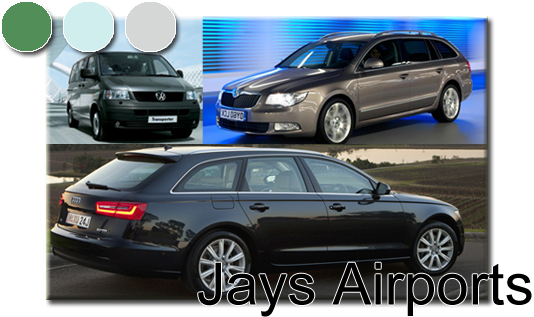 Jays Airports Ltd also provide corporate transport. Airport transfers, Docks & long distance specialist. Saloons, Estates, Executive cars and 8 seater minibuses.